The first stop on the second floor is the recreation of Charles Schulz's studio - all the furniture and items were moved from his old office to the Museum. Even the wood panelling where his chair scraped the wall when he leaned back has been preserved! 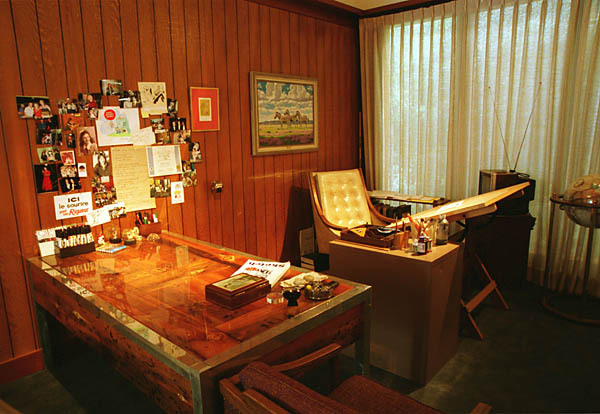 Not visible in this photo are shelves full of books, records, and mementos that lined Sparky's studio.